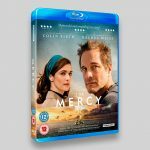 The Mercy Blu-ray and DVD Packaging, Digital Assets and Press Adverts fro StudioCanal. 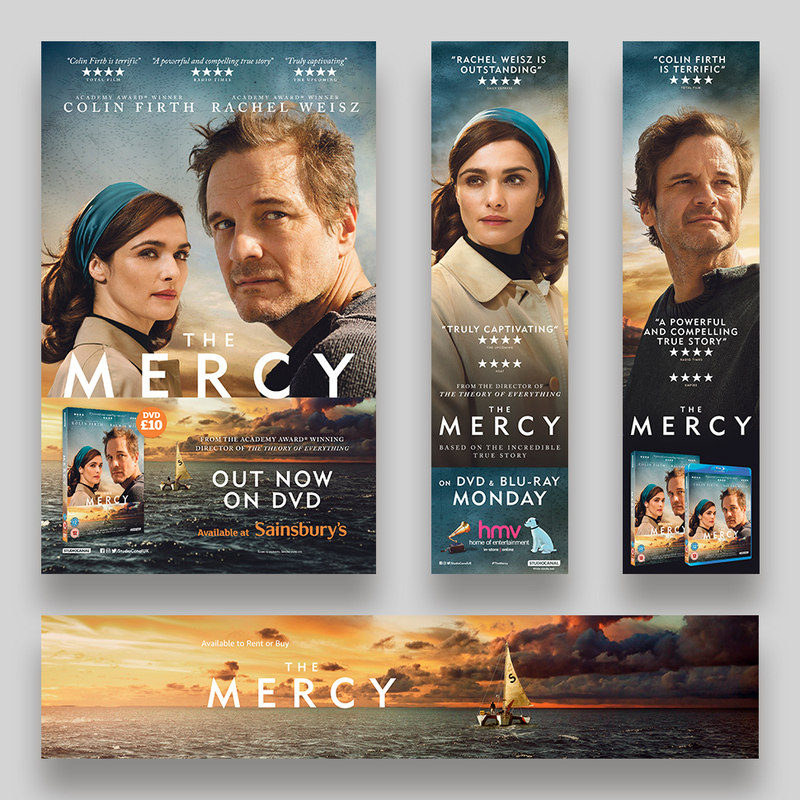 The artwork featured a straight adaptation from theatrical posters. 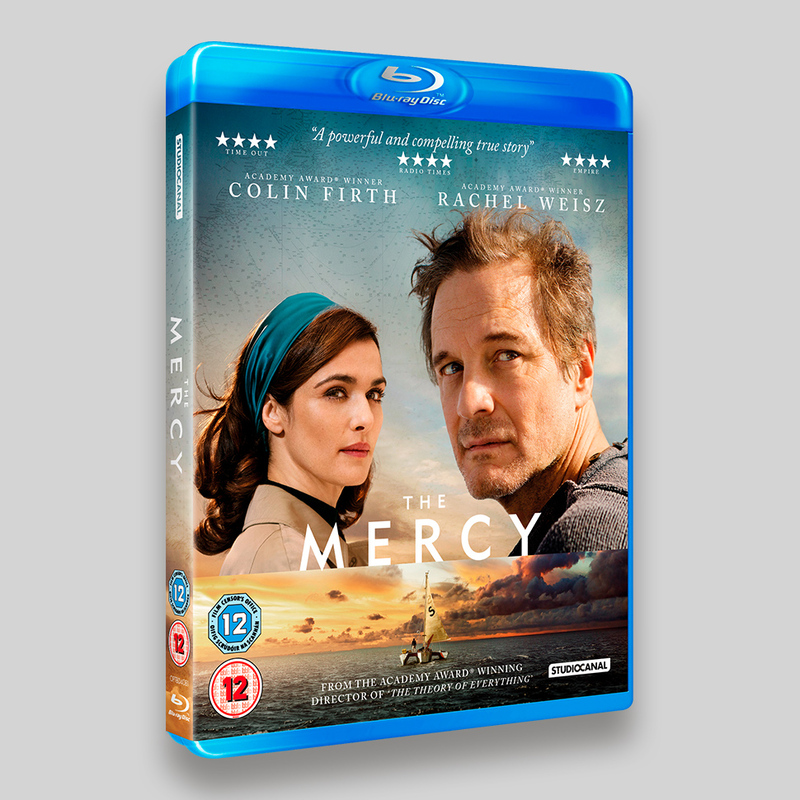 Adjustments were made to the position of the Colin and Rachel in order to accommodate the title, cast and quotes. 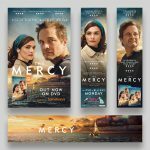 Academy Award winner Colin Firth (The King’s Speech, Kingsman: The Secret Service) portrays the incredible true story of Donald Crowhurst, an amateur sailor who competed in the 1968 Sunday Times Golden Globe Race in the hope of becoming the first person in history to single-handedly circumnavigate the globe without stopping. 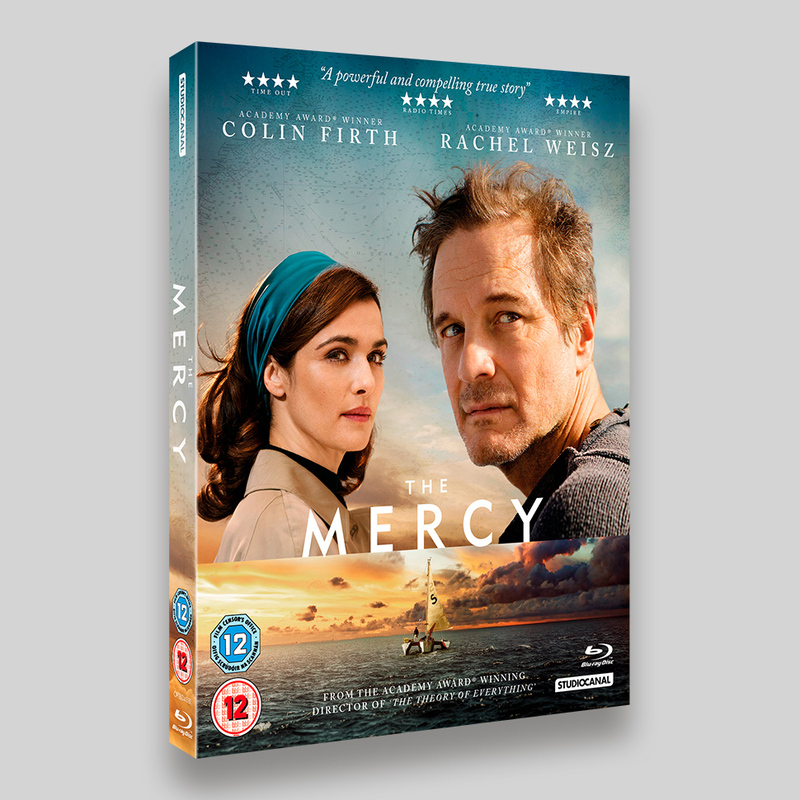 With an unfinished boat and his business and house on the line, Donald leaves his wife, Clare (Academy Award winner Rachel Weisz My Cousin Rachel, The Lobster) and their children behind, hesitantly embarking on an adventure on his boat the Teignmouth Electron. 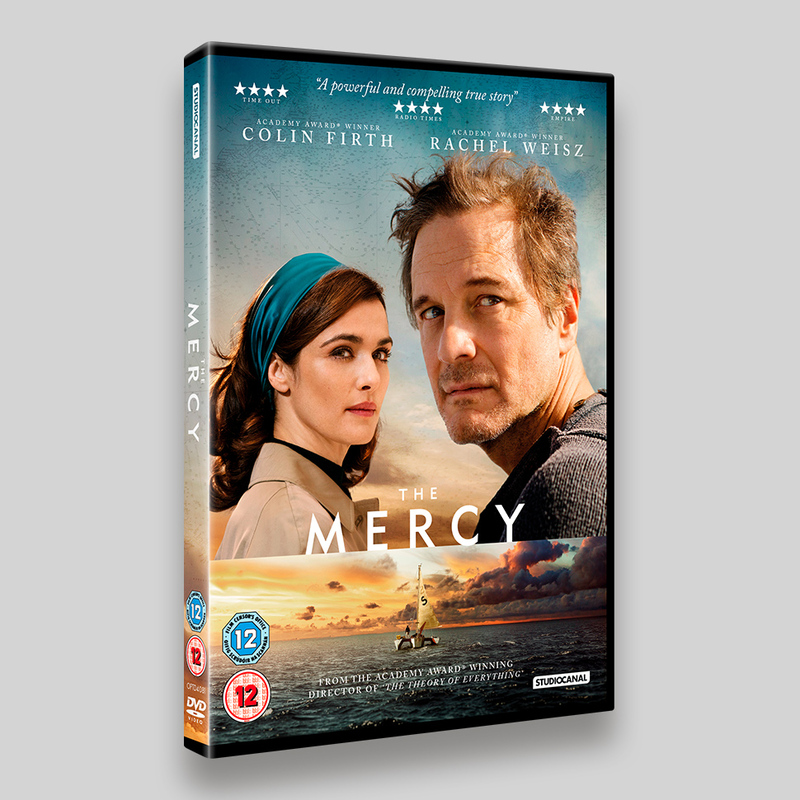 From the Academy Award winning director James Marsh (The Theory of Everything, Man on Wire) and the producers of The Best Exotic Marigold Hotel, comes one of the most enduring mysteries of recent times.